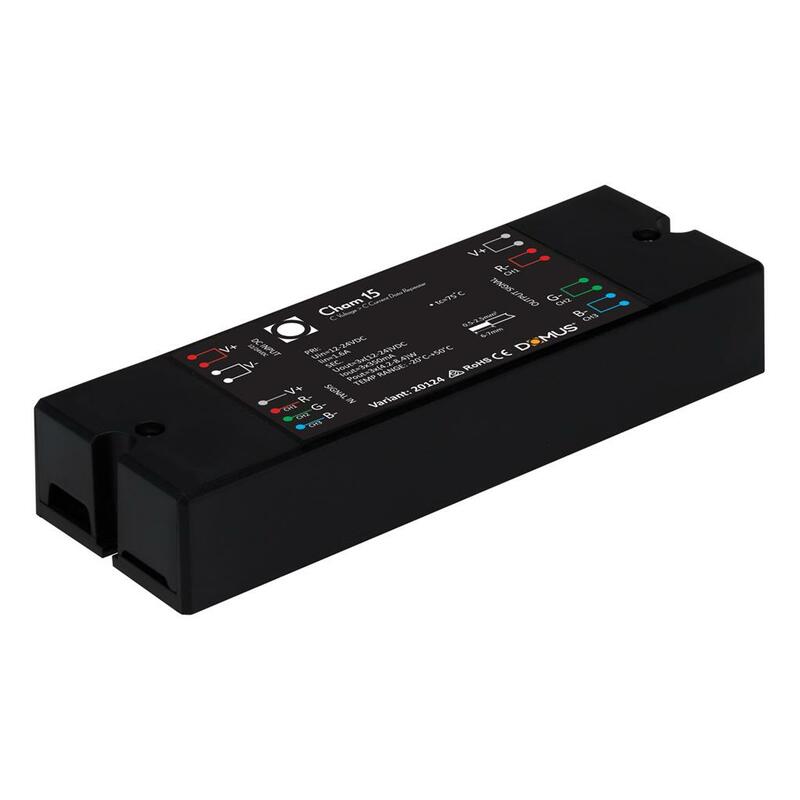 The CHAMELEON-15 is a 3 channel signal strength data repeater for constant current fixtures. The CHAMELEON-15 offers the ability to expand the signal strength generated by the master controller. The CHAM-15 is able to accept a constant voltage PWM signal and output a 350mA constant current. The CHAMELEON-15 is a 3 channel signal strength data repeater for constant current fixtures. The CHAMELEON-15 offers the ability to expand the signal strength generated by the master controller. The CHAM-15 is able to accept a constant voltage PWM signal and output a 350mA constant current.